After dinner, we had plans to go see Inception. 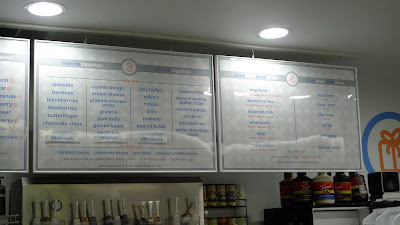 But before we rushed off to the movie, we stopped by iCream for some dessert. 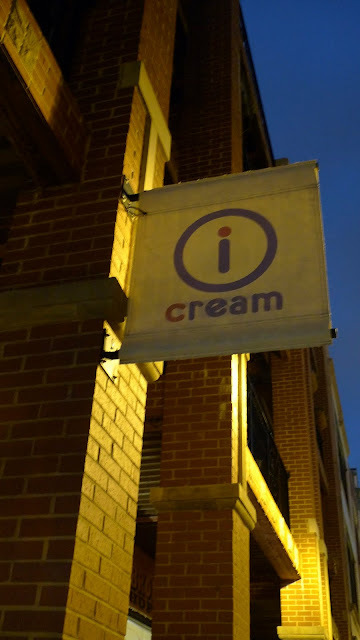 I first heard about iCream from my friend Will who told me that he saw the show on the Food Network show, Chef vs. City in Chicago. I looked up the address and realized it was really close by and I have been meaning to try it out, but never got around to it ... until now. It's hard to see the storefront because it's sunken in, but be on the look out for this little banner on Milwaukee Avenue. The concept is neat. You basically choose your ice cream flavor and toppings and they custom make every serving of ice cream just for you. Not surprisingly enough, there were a lot of people inside. 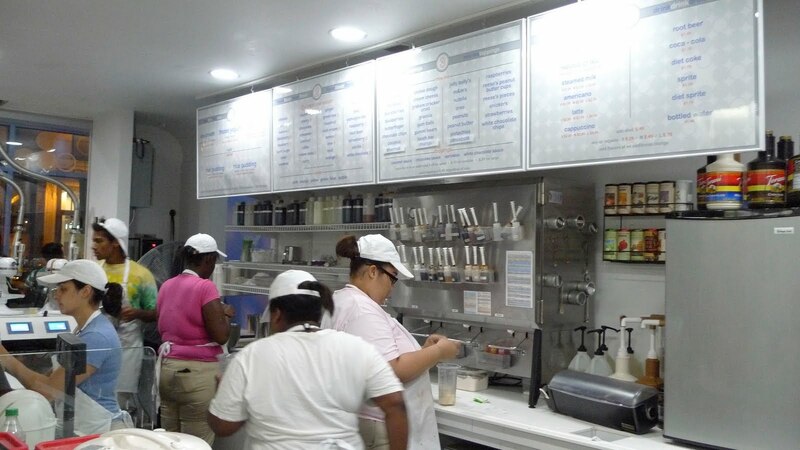 You first choose your base: ice cream, reduced-fat, soymilk, non-fat yogurt, low-fat yogurt or sorbet. 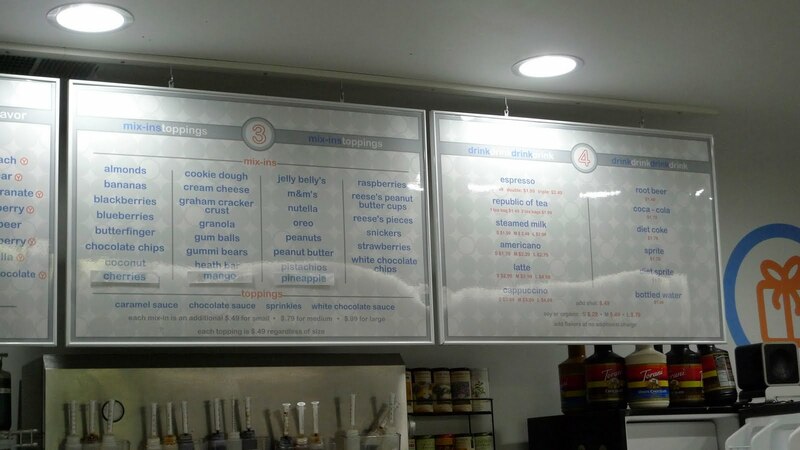 Next, you choose your flavor (e.g., strawberry, green tea or chocolate) and any mix-ins (e.g., Oreos, chocolate chips, coconut). You can also add color to your final creation. 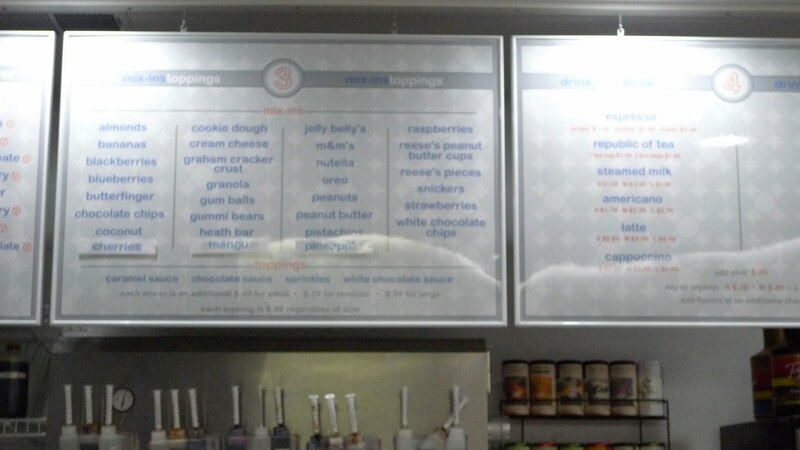 They have all the different ingredients listed out for on you on the bulletin. 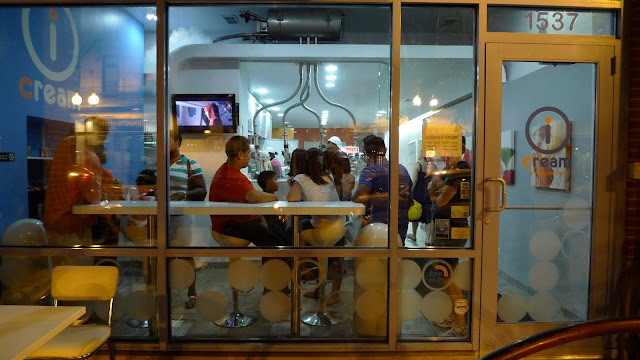 As you can see from the picture, it doesn't seem like an ice cream shop, it looks more like a science lab. They have flavor shots lined up and different colors displayed in plastic bottles. 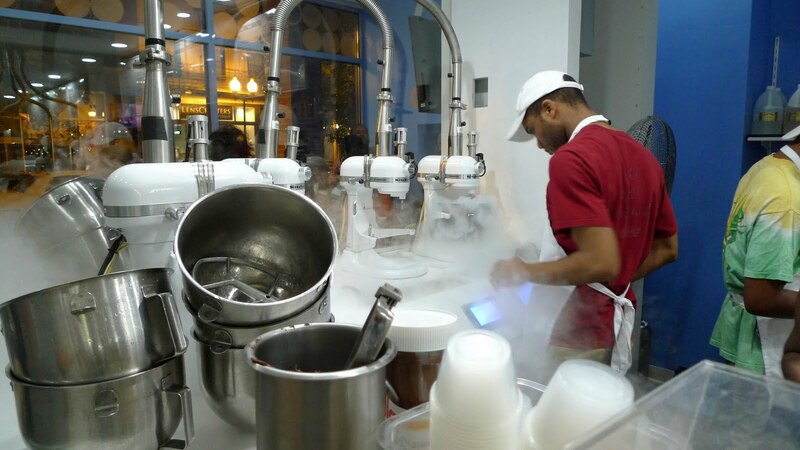 After these icream-ologists put all your ingredients together, they give the beaker to this guy who mixes all the ingredients with liquid nitrogen, which freezes the ingredients into ice cream. 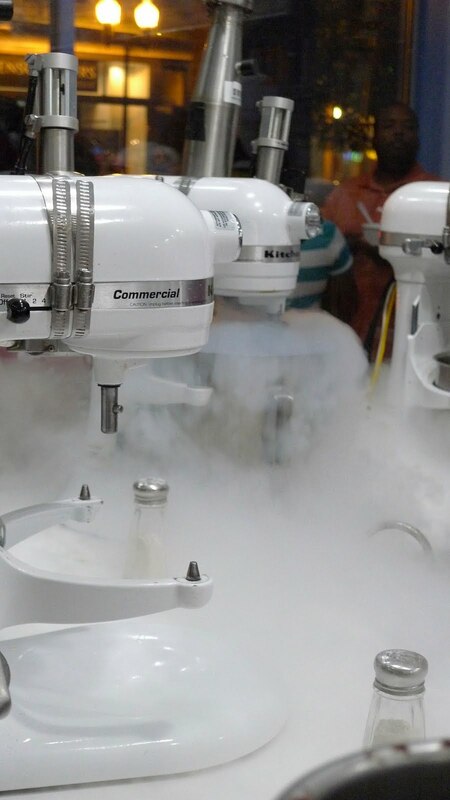 It was kind of neat to see the cloud of mist flood the Kitchen-Aid mixers. It's nice that the kitchen is wide open so you can see your iCream creations being made. All in all, we had to wait about 20 minutes for three individual ice creams. So what's my consensus? 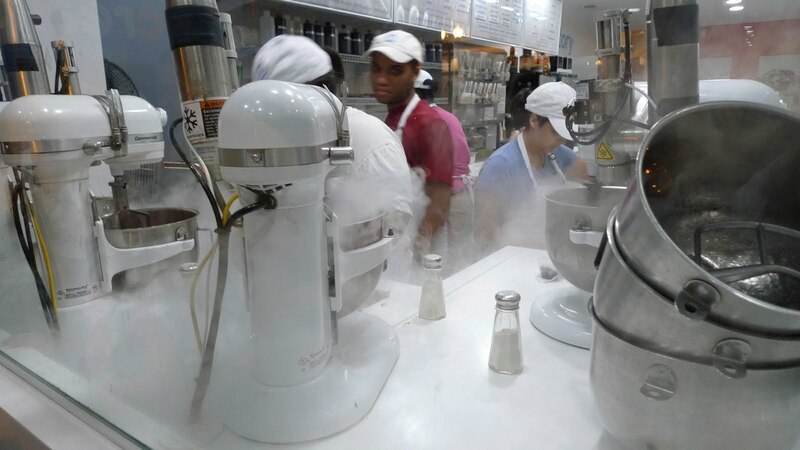 It's an awful lot of effort to make a cup of ice cream. There's gotta be an easier way. lol. 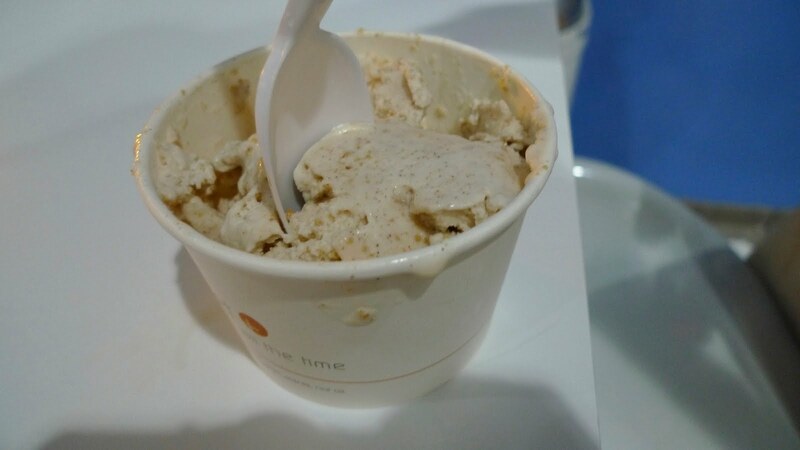 I also think it's not worth it if you stick with a traditional flavor since it ends up costing about $5 for a small cup, but it's hard to come up with a novel flavor combination on the spot. I honestly don't even remember what I got. Yeena got cinnamon ice cream with graham crackers or something to that effect. Caroline got sugar-free green tea. The sugar-free base had a weird aftertaste, which we all didn't like. I realized that I don't really want to see how my ice cream is made, especially if it comes out of plastic tubs and syringes. 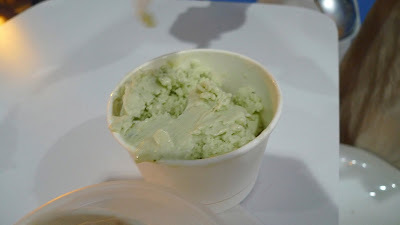 I would like to just believe that ice cream, and not only cheese, comes from happy cows and other natural ingredients. Mary, on the other hand, went to iCream separately while she was visiting Chicago and she loved it. From the looks of the patrons at the store, I am in the minority too. It's worth visiting once, but I'd rather go to Black Dog Gelato over this any day. I'll let the experts come up with the flavors. 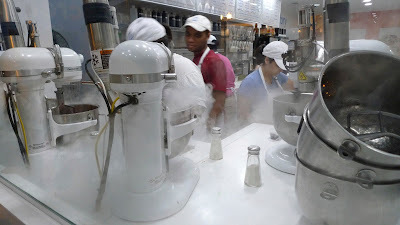 The iCream concept, however, is taking off apparently because I just read that a place called Ice Pan is opening in West Hollywood, California soon. OK, we'll have to go back when you're back in town. Actually next time you're in town, we're going to Black Dog. hehe.